Champion off road racers were tired of the poor performance of their traditional axle shafts. The unwanted power and abuse their buggies were taking had to be fixed and resolved quickly. The important question was whether or not there was an alloy on the market with superior strength and reliable enough that the drivers could trust the new axle shafts with their lives? Fortunately, 300M was readily available and used to create a more enjoyable driving experience and smoother ride, with less steering wheel shake each and every time drivers went off roading. 300M is known for its use in off road products, specifically off road racing vehicles. 300M axles are used because they are built to handle the abuse many drivers put on their axles through their crazy power, speed, and intense jumps. 300M a vacuum melted alloy, steel of a very high strength. 300M has great toughness and ductility, fatigue strength, and overall strength at 1930-2100 MPa. Essentially, 300M is a modified 4340 steel with added silicon for use of a higher tempering temperature. 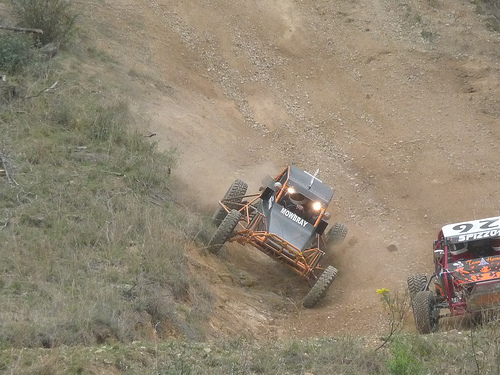 The abuse and technical maneuvers from off road vehicles are handled smoothly by the 300M axles, which incredibly are just as tough at extreme angles as they are at a straight angle.